Meet the authors Elsa Blomster and Lena Gunnarsson. 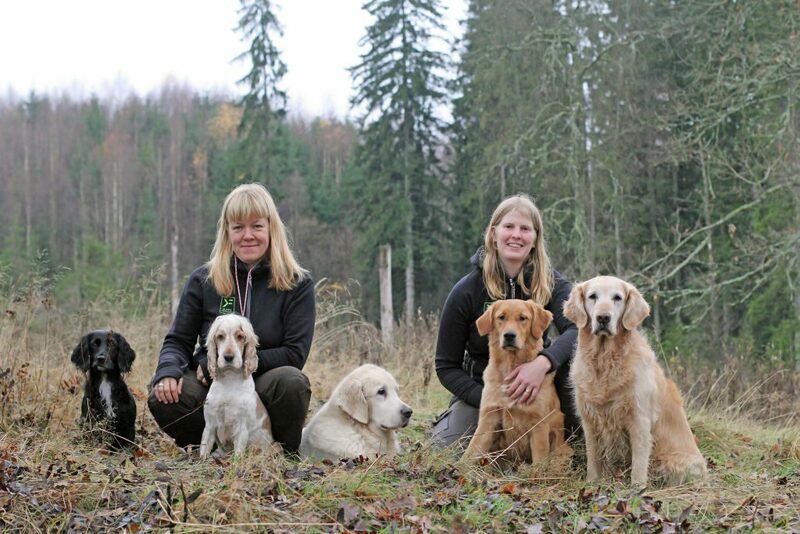 We are dog instructors at our own dog school and small publishing company, Klickerförlaget (which in Swedish means the Clicker Publishers). Throughout the years we have met hundreds of people who, in a way, have been our best tutors. The great variety of dogs and people have been a challenge to us, and have helped us in developing as instructors and dog trainers. This blog will describe our training for field trials – in prosperity and adversity – and offer pieces of advice for solving problems. 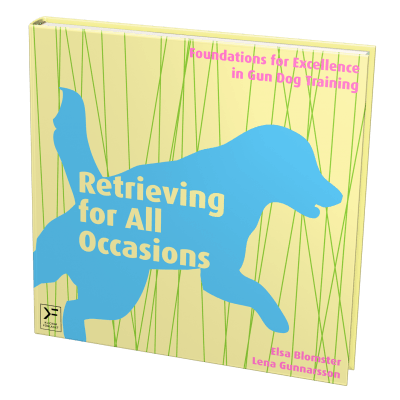 It will also contain a few exercises from the book Retrieving for All Occasions and some videos about encountering certain challenges in training the dogs and solving those. We welcome you to follow us on this journey! My gun dog training began rather haphazardly. 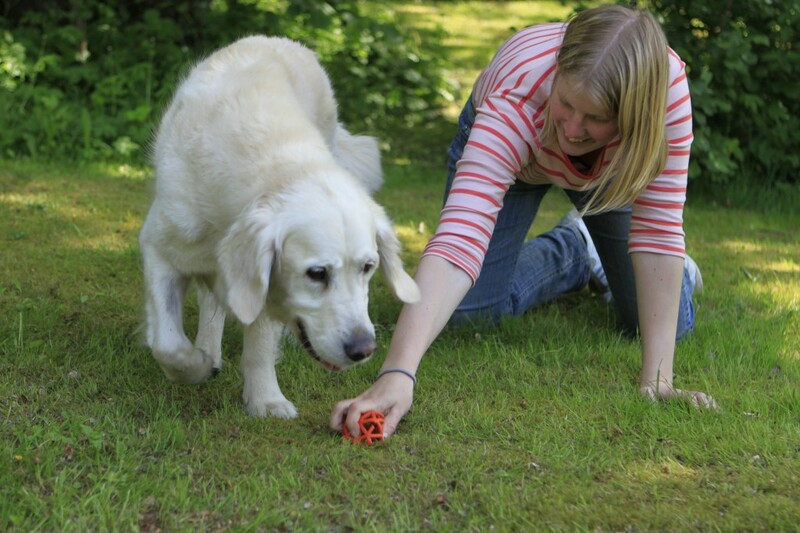 When I bought my first dog Ludde I knew that I wanted a cream golden retriever and that we would take a course in everyday good behavior – that was all. 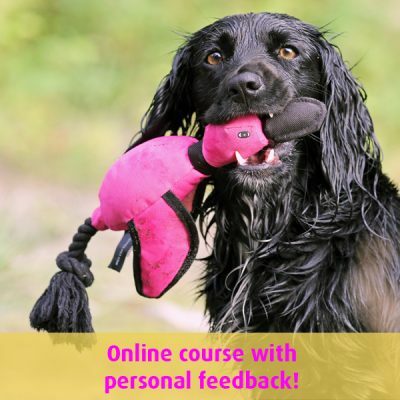 Attending this course I came to realize how much fun dog training was, and immediately subscribed to several other courses. I was given my first dummy and was introduced to retriever training. My interest in dog training kept on increasing and I began training obedience and gun dog retrieving, along with educating myself as an instructor. 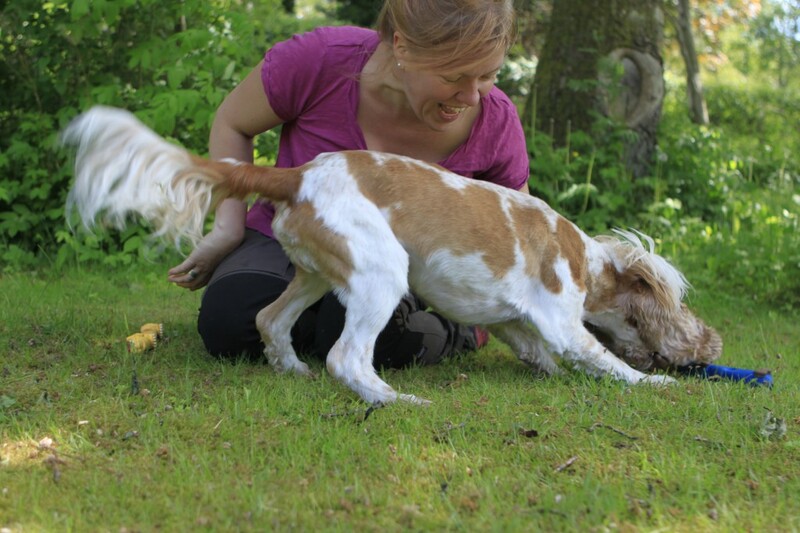 After a while I understood that Ludde was not as fascinated with training as I was. He was (and still is) quite content with dazing on the couch, strolling in the woods and generally being cozy. Pretty soon the idea of another dog emerged, this time a working golden – and what a worker she is. Diesel and I have competed in obedience, rally obedience, tracking and field trial and obtained official qualifications in all these disciplines. Last summer I went to England to get my latest star, Seeker, another golden retriever. He’s still very young, but we’re doing foundation training and later on we will compete in working tests and field trials. The “hunting part” i.e. 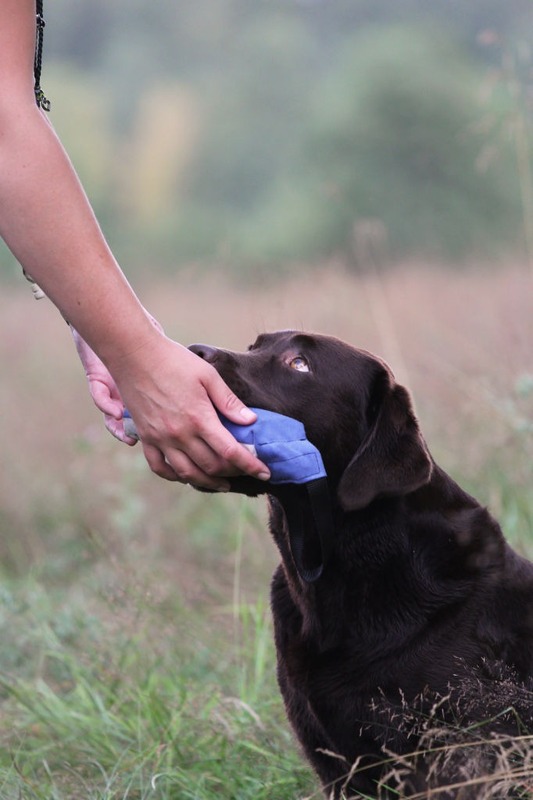 gun dog training is the main part of our training. Both me and my dogs thoroughly enjoy it and I am so happy to have found a congenial and efficient way of training. 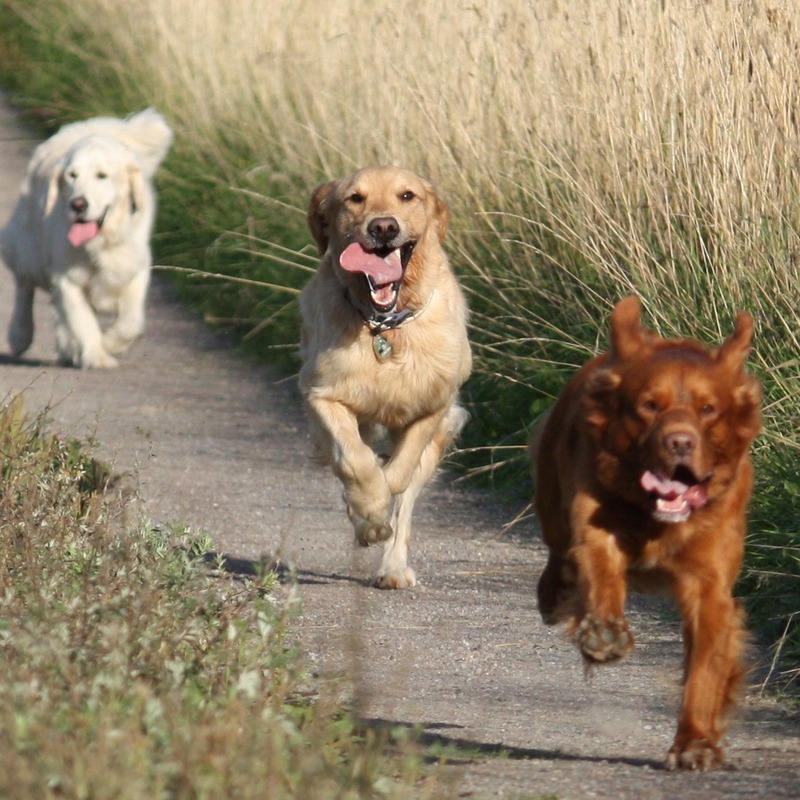 And then when pupils say “Training this way is so positive and so pleasant, not needing to be harsh to my dog”, “Why didn’t I come to you earlier for retrieving training” and “You ought to write a book about it” – well, that certainly warms my heart and proves we are on the right track 🙂 . 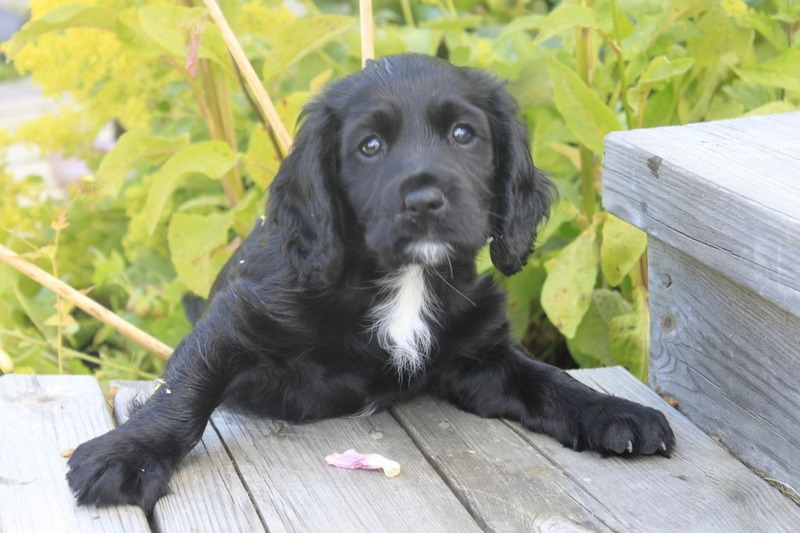 I started the hunting oriented training because I felt obliged to let my cocker spaniel Totte work with what he was genetically designed to do. He was extremely interested in it, so I had to join him. During the first yeas it was merely a liberal and pleasant business, without demands, carried out during our daily walks. It became a non-prestigious let-up from our regular obedience training. Totte suffers from a chronic disease, so I have no intentions of entering him in a field trial. We practice this expressly because we enjoy it, which is quite enough for me. Eventually I became increasingly involved in the training, and we now work more systematically and goal-oriented. It is so much fun, especially seeing Totte’s focus on his task, his happiness, his stamina and experiencing co-operation and and the wonderful contact between us. He seems to be made for this (although he is not a working cocker spaniel). Having become this dedicated to training we had to enlarge the family with the working cocker Tassla. I have trained animals all my life, and dogs for the past 11 years. My own experience of training horses and dogs and educating people has taught me quite a lot about learning. For 15 years I have worked in a non-dog profession, supporting people to solve problems and encouraging them to take on challenges, which has made a confident coach out of me. Add the fact that I am essentially a journalist, I love to write – the step to co-writing a book was not a big one. Elsa lacked a book to put into the hands of her retrieving-pupils. 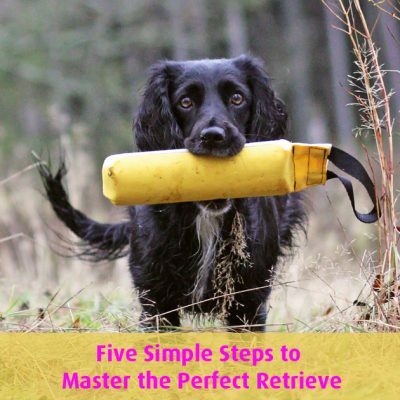 There was no book available that described retrieving training the way she wanted it. Only one thing to do for a determined lady – write one herself! So when she asked me if I wished to be part of the project, of course I did! And now we are rolling.